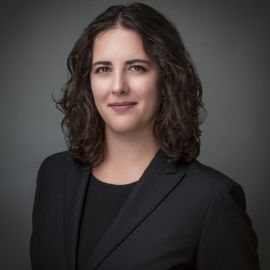 Aleksandra is a lawyer at Williams HR Law, where she practices in all areas of management side labour, employment, and human rights law. She summered and articled at the firm. 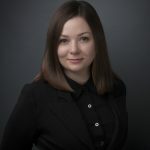 Aleksandra provides advice and representation to employers on a broad range of issues, including: employment agreements, employment standards, wrongful dismissal litigation, discipline and termination, human rights and accommodation, labour board proceedings, privacy, workplace safety and insurance, and workplace investigations. Aleksandra is a graduate of the University of Ottawa Common Law Program. Prior to completing her JD, Aleksandra attained a Combined Honours Bachelor of Humanities degree in humanities and political science, with a concentration in international affairs, from the College of the Humanities at Carleton University, and a Master of Arts in International Affairs from the Norman Paterson School of International Affairs at Carleton University. While at law school, Aleksandra was a senior editor and business manager of the Ottawa Law Review. She was also a Legal Writing Leader and peer mentor at the university’s Legal Writing Academy, and a Dean’s Legal Research and Writing Fellow. Throughout her legal studies, Aleksandra worked as a teaching assistant and research assistant for various professors.